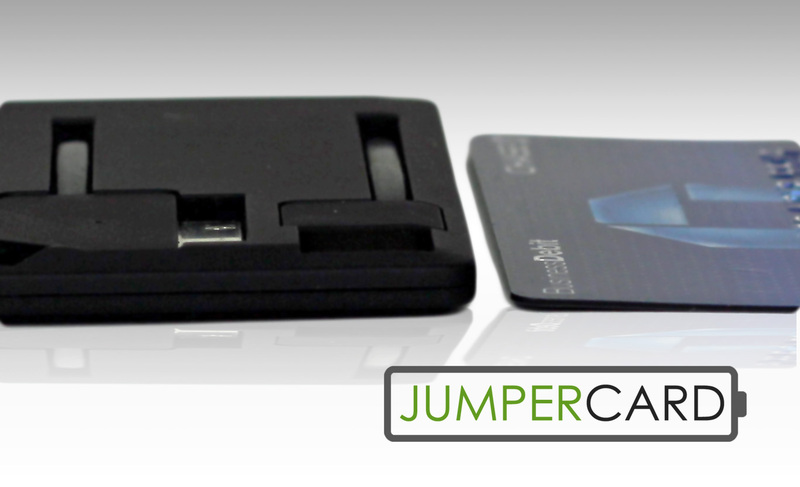 So recently, I was sent the Jumper Card to review, and was really excited to get my hands on it after reading about it on Indiegogo. 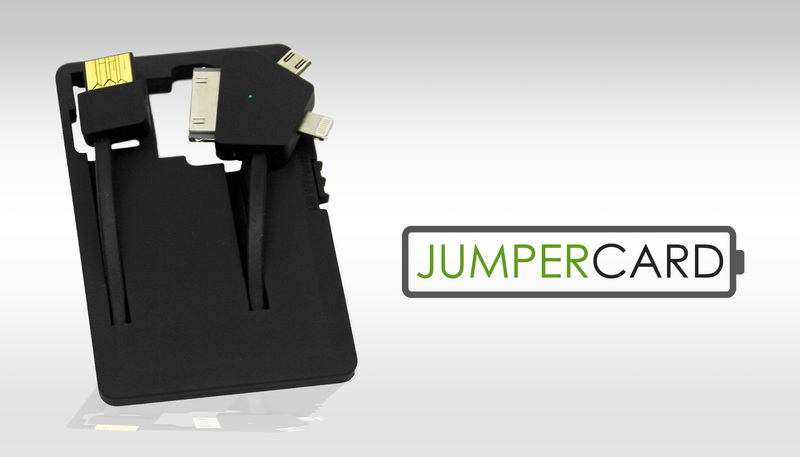 This is a credit card sized device, that can be used to charge your smartphone or tablet, transfer files, or do anything your existing charging cable can do. The product is around the same size as a credit card although slightly more chunky, and fits extremely well into uour pocket or wallet. It is coated in a really nice rubberised material, and is extremely light despite its thickness. It feels tough, and is made to military spec, so you can be sure that it will last. The device can be charged using the USB port and has the capacity to hold 480mAh of battery, this is enough to get around an hour of use, and can be re-charged again and again, unlike a lot of other products similar to this which can be limited in this area. It comes with a micro USB socket, lightning socket, and the older traditional apple fitting. This means you can charge most android phones, digital cameras & other accessories as well as the entire apple range. It doesn’t take long to fully charge the jumper card, and this gives you a decent amount of battery on your device depending on the size of the battery, as obviously this will charge iPhones considerably more than iPads etc due to the size of the internal battery varying massively on device to device. Now, on charging my phone specifically (HTC One) I was prompted with a message advising that fast-charge was no longer enabled and that the device would charge considerably slower than by using an HTC official charger. This was the case, but the phone still charged well, and also worked really well on my iPhone and iPad. The product also comes with a built in LED light which indicates when it is finished charging and has inbuilt overcharge protection. The product is activated by a simple slider on the side, which can also be used to turn on a bright LED flashlight which is always handy ! At $25, it is an extremely cheap emergency charging option, and can also be plugged into a USB Car lighter adapter which is great for keeping it charged on the way to work or anywhere else.I have been using this thoroughly for around 2 weeks now, and the device still feels as good as it originally did, and I haven’t encountered any problems with it at all and would highly recommend this to anybody who uses their phone as much as I do, and constantly encounters problems with the capacity of modern day batteries !